We’re back louder, harder and faster than ever! 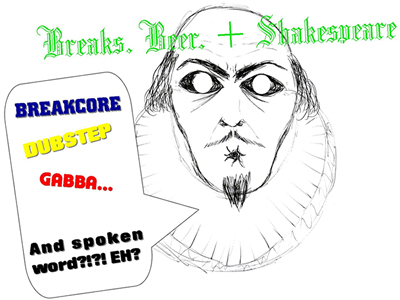 The noisiest, dirtiest drum ‘n’ bass sub-sub genres are hitting Harrow… with a twist of Broken Word. Freestyling poets and DJs collide to bring you a night of dancing and dreams among UV reactive artwork. Think Breakcore, Glitchcore, Gabba, IDM and Dubstep. +Live set from Usedtobecool from Bitcrusher Records. Sign up by 10 for open mic.